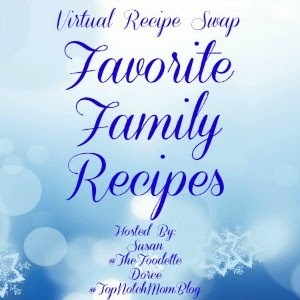 Thank you so much to everyone who joined Doree and me for the first Favorite Family Recipes Virtual Recipe Swap! We hope you had a great time getting to know your partner and making some new-old recipes! Doree and I felt it was only fitting that we exchanged recipes. 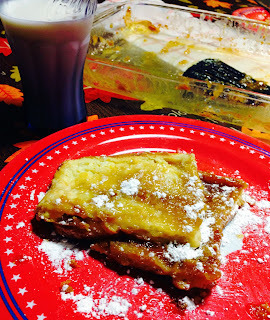 I was gifted her Creme Brulee French Toast recipe. cue the drool. 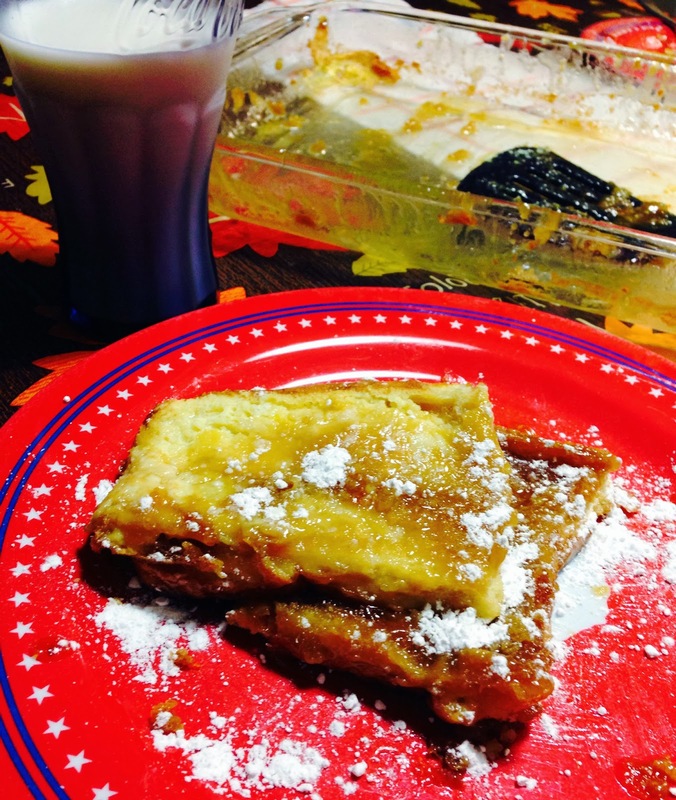 French toast is always a hit in this house. We're all breakfast lovers, except I don't really like to be the one to make the breakfast until I have my coffee. This recipe was awesome for that problem! I mixed everything up the night before, poured all the goodness over some thick sliced bread, and it gets to spend the night in the fridge. In the morning, I took it out and let it get to room temperature-ish and baked it until it was delicious! If you love french toast too, you've GOT to try this one! -In a small pot, melt the butter with the brown sugar and corn syrup. Stir together until the sugar is completely melted. Pour mixture into baking dish. 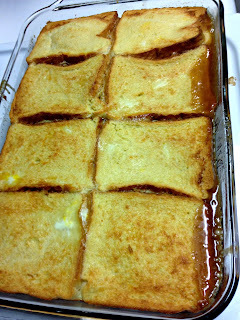 -Place the bread slices on top of the butter and sugar mixture in one even layer. Squeeze the edges slightly to make the bread fit. 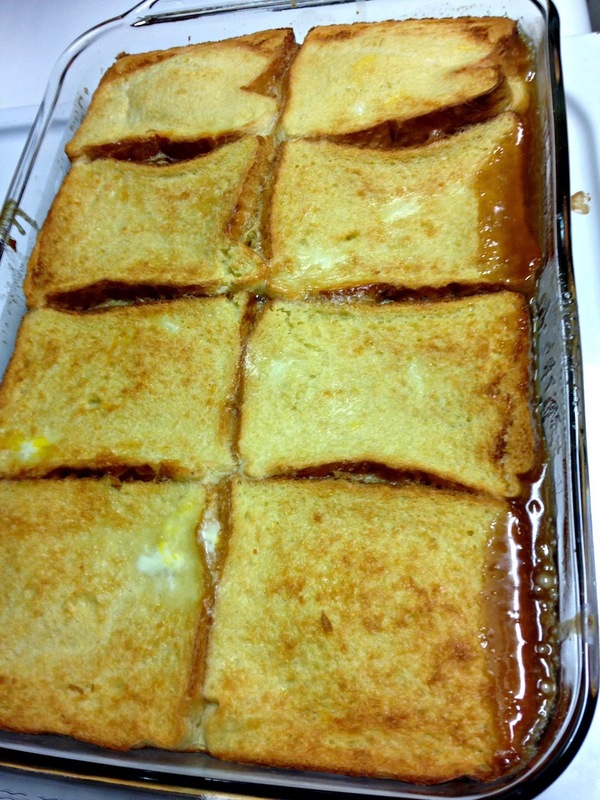 -In a bowl, whisk together the eggs, cream, milk, vanilla, salt, and 2 teaspoons of Grand Marnier. Pour this mixture over the bread. Tightly cover the baking dish with plastic wrap and refrigerate for 8 hours or over night. -Let dish stand at room temperature for 20 minutes before placing in preheated oven at 350 degrees. 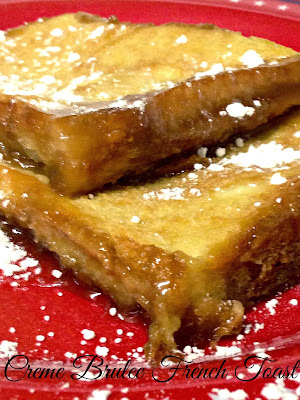 -Bake for 30-40 minutes until french toast is golden and puffed. Serve hot with powdered sugar sprinkled on top. Don't forget to enter my November Thankful Giveaway! $60 worth of goodies are up for grabs!